What? The title is boasting that all is just new! Yes and no, the truth is somewhere in between. 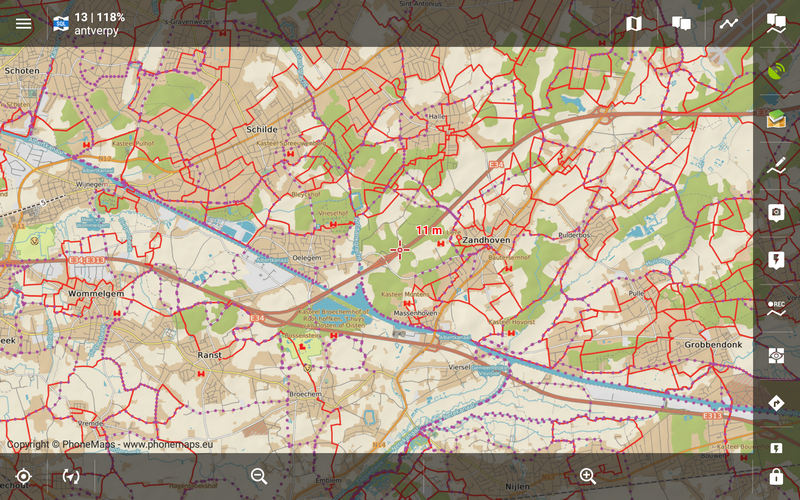 We’re talking about maps of renowned Czech publisher SHOCart that Locusers have known for ages, especially their awesome biking maps with surface classification and recommended bike routes. New is our contract with the publisher, owned by traditional Austrian publishing house Freytag-Berndt. 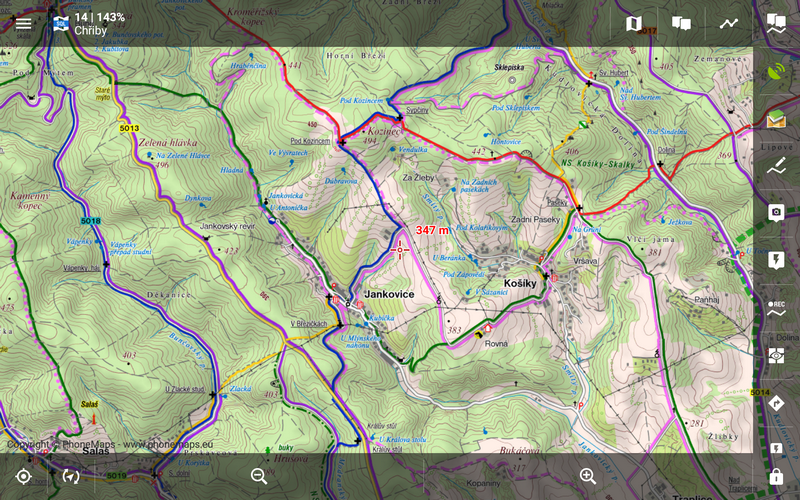 Online SHOCart hiking and biking maps of the Czech and Slovak republics, online hiking maps of Europe by Freytag-Berndt – you can subscribe the access to them either directly from the map manager or in Locus Store. The price is 320 LoCoins for a month or 1600 LoCoins for a year. 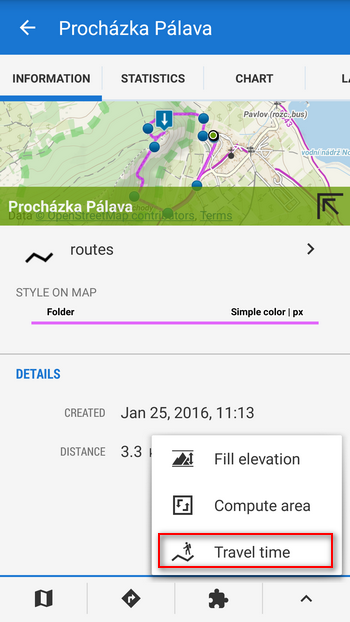 Offline SHOCart hiking and biking maps of the Czech and Slovak republics, online hiking maps of Europe by Freytag-Berndt – you can define your own map crop, select map zooms and purchase the map tiles in a bundle for offline use. The price is 8 LoCoins for 100 tiles. Offline ready-made packets of biking or hiking maps of Czech and Slovak republics by SHOCart – they contain approximately identical map crops as the paper editions of the publisher, all in three zooms up to 1:50 000. The price is single for all packets – 230 LoCoins. We wish you a lot of hiking/biking pleasure with these old-new maps and we sincerely hope you’ll get used to their new terms of sales. We reworked download from the scratch. It’s much clearer and more intuitive now – a piece of cake even for the greenest Locus beginners. We threw away nothing, all your favourite settings and options are there, hidden behind magic buttons “Show advanced options”. You can select among three walking profiles, nine (!) cycling and two cross-country skiing profiles. We’re sure you’ll always find one that suits you best. We suppose to hear many useful ideas how to fine-tune these profiles from you and we are, as usual, ready:). 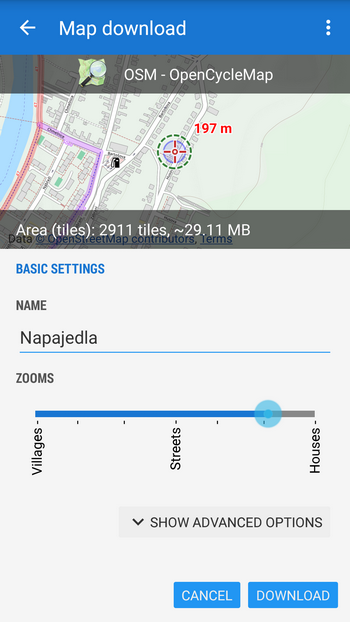 And as usual, the new version brings loads of minor adjustments and fixes and also improvements of more advanced features for our geeky users – at random – new presets for Quick WWW bookmark feature, support of BBox tags in the same feature, option to stop Live tracking directly from the notification bar, improved display of breaks and rests in track charts or a new system of work with geocaching waypoints. What happened to my UK english voice? It’s still the system default, but within Locus Pro all I can get is the AMERICAN english. Help. please? Have a look at your settings > Language&Units > Text-to-speech settings and set preferred TTS engine and language. – “20km/h” means average travel speed -> this fits because that is something less than 100 watt for driving. Thank you Manfred for your observation. What values would you suggest for this profile (we’re talking about the “easy” level)? And what for the Road Racer profile? 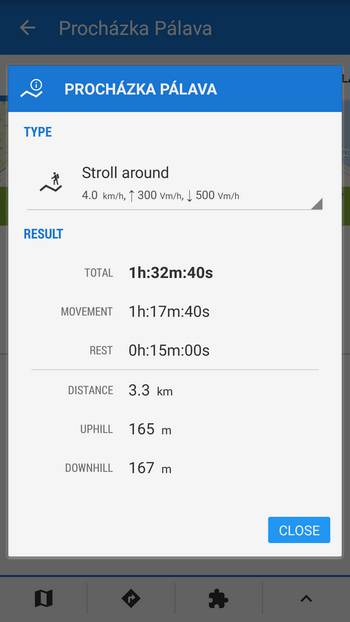 Uphill: 6 km/h in case of 6 % slope => 360 m/h. Downhill: 45 km/h in case of -6 % slope => 2700 m/h. These are values for easy level. By the way I have calculated the values with http://www.kreuzotter.de/english/espeed.htm. Here you can easily evaluate the dependency between the different influencing parameter. I have check whether this calculation fits to reality. And I was suprised about the good realation between calculation and reality. I choice MTB with “robust wide touring tire”. I can no speak for road racer, because I have no idea about their average capabilies. May be fitness studios are a good source for average values from their ergometers. As you can see in my first link: Lance Armstrong needs for 1130 m approx. 40 min. So 1700 m/h uphill should be definitely the upper limit. 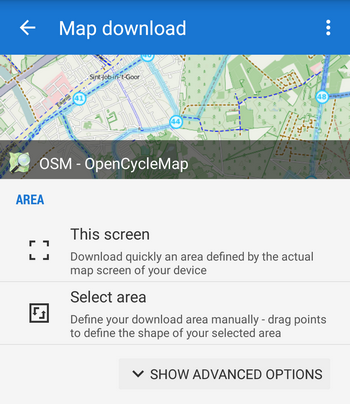 Or you can access the same SHOCART maps with travel tips and route planning on mapy.cz web or vector app for free, which makes their offer funny.